Evolution does answer many of your questions. But at the same time, it poses a set of new questions as well. For example, if you asked us a couple of years ago, what would be better, a compact sedan or a compact SUV, answering it would have been fairly simple. But thanks to evolution, answering the same question is not easy anymore. So, we pitted the Maruti Suzuki Dzire, the highest selling compact sedan and the best in its class, against the Tata Nexon, Tata’s first foray into the modern segments. And we tried to see what gives us a better deal. 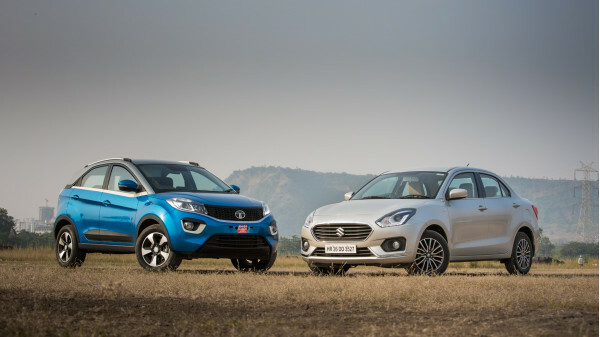 Because, believe it or not, both the top-spec Dzire and the Nexon are priced very close. We had decided not to give looks much importance. But then, it isn’t that easy to ignore the Nexon. Tata has pulled out all stops while designing the Nexon. 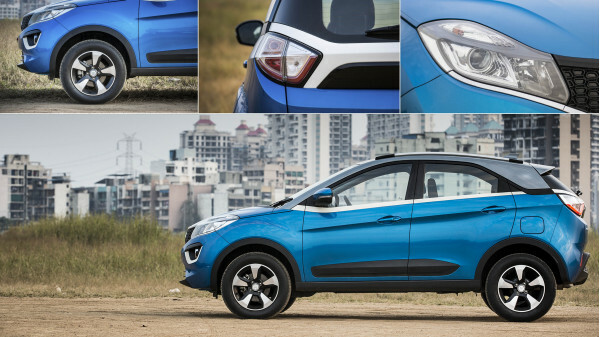 Unlike the typical square SUVs, the Nexon flaunts its curves. The tall mesh grille along with the eyelid-like LED DRLs and the blacked out front bumper make it look imposing. Move on to the sides and the flared wheel arches are filled by the large 16-inch alloys and 215 profile tyres. The funky looks continue as the sloping roof meets the sculpted boot-lid. The rear bumper is also blacked out and gets a racecar-like brake light at its bottom. The top-spec Nexon XZ is loaded with halogen projector headlamps, roof rails, a shark fin antenna and a rear spoiler to add to that premium look. While the dual-tone roof looks nice, the white strip that runs across the window sills and the under the fog lamps in the front, looks a bit overdone. On the other hand, the Dzire has taken the safe route. But then, it isn’t boring by any means. The fascia swoops down from the shoulder-line and me thinks that a trident logo and a mesh grille might give Maserati some ideas for a budget car. Jokes apart, the Dzire ticks all the right boxes - there is enough chrome and LED headlamps from the Ignis along with its own set of DRLs. 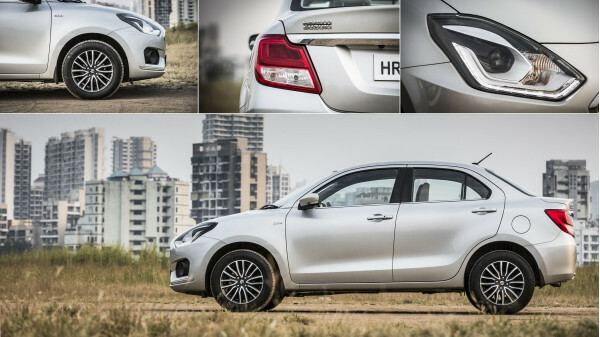 The new Dzire is also curvier and looks sportier, especially with those multi-spoke 15-inch alloys. Overall, the Nexon’s sheer presence overpowers the understated looks of the Dzire. Looks certainly are a buying factor but interior and equipment is what seals the deal. Nexon continues on its path to funkdom with the dashboard dressed in three colours – black on the top, a silver applique in the middle and white underneath. Finished in matte, the floating touchscreen on the top of the dash would feel premium even if you looked at cars that are two segments higher. Seating in the Nexon is slightly upright and you do get the feel of driving an SUV. The front seats are nicely contoured and offers good lower back support. It is ergonomically well laid out, as well. The contoured three-spoke steering gets steering mounted controls for music and telephony. You have buttons on the dash to operate the touchscreen and when you are driving, which is far more convenient than poking around on a touchscreen. Automatic climate control, electrically adjustable mirrors, all-four power windows, push-button start etc have now become standard fare, especially on the top-spec cars in the B+ segment. The Land Rover style compartment underneath the front armrest allows you to stow away stuff that doesn’t fit into the cubbyhole fore of the gear-lever. Moving into the back, the Nexon feels spacious. There is ample leg room and since the Nexon is wider, you can seat three in back rather comfortably. There are AC vents in the back as well with two speeds to operate and that is a very nice touch. If you need to haul some cargo, the rear seats are split 60:40 and fold to expand the 350-litre boot space. You have bottle holders and storage spaces in the door panels for the rear passengers as well. The Nexon is also quite well insulated as it keeps most of the diesel clutter from permeating into the cabin. And the 8-speaker Harman audio system is the best-in-class for sure. The touchscreen is a bit slow to react, but with its menu, it gives you that expensive car feel. Fit and finish along with the quality of components has been Tata’s bane for ages. While it has certainly improved in the past few years, Tata has quite a way to go before it arrives in the quality game. For example, the panel gaps are still not cent per cent consistent and the glove box refused to close unless we slammed it. Maruti has done its market research well. 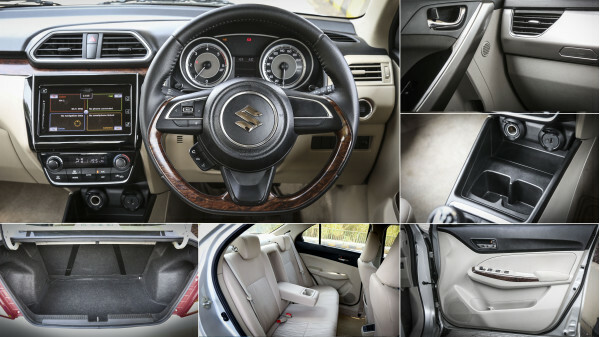 Its product detailing is spot on and the Dzire gets exactly what the average Indian customer needs. Like beige interiors and the faux wood inserts. It makes the cabin feel bigger and plush. Design of the dashboard is simple with the centre console getting a touchscreen, the automatic climate control unit and the customary cubby-hole cup holders. Look closer and you will find that the centre console is angled towards the driver. In an era of common parts, the accepted way to reduce costs, such customisation is special. Being a sedan, the seating is lower due to which ingress and egress seems more convenient in the Nexon as compared to the Dzire, especially for taller or older passengers. Once inside, the seating is comfortable both fore and aft, with enough thigh support for both the rows. Seating three in the back of the Dzire is still feels slightly cramped, but much better than before. 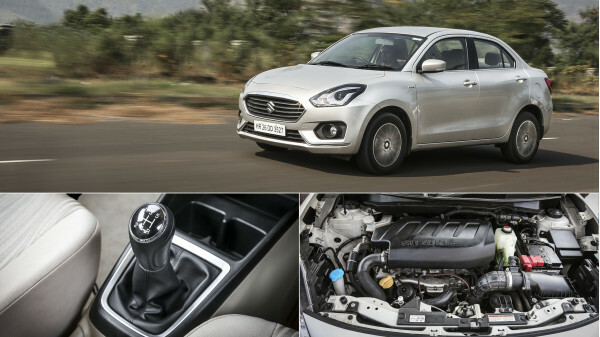 Again, being a top-spec car, the features and equipment match the Nexon but the Dzire gets automatic headlamps and the LED lights offer better visibility overall. The touchscreen interface is fast and easy to operate. The Dzire gets a 378-litre boot, as compared to 350 litres of the Nexon, but that is explained by the Tata’s extra leg room for the second row. Fit and finish on the Dzire is of good quality and certainly a league ahead of the Tatas. Overall, the Nexon and the Dzire are quite evenly matched with the Nexon taking the honours for aesthetics and space but the Dzire’ quality and functionality gives it the edge. 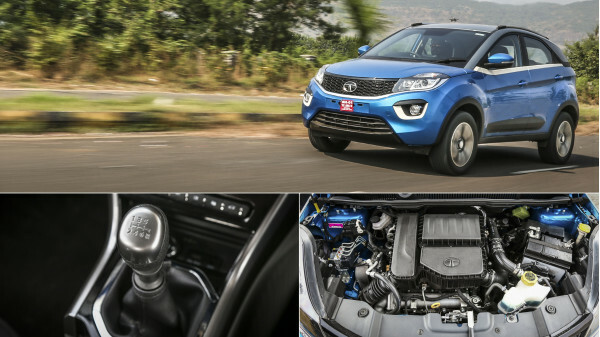 Tata Nexon is powered by the all-new 1.5-litre turbo-diesel. At 108bhp of power and 260Nm of torque, it gives you the bragging rights. The turbo-lag is minimal and you can feel the torque kicking in from almost as low as 1500rpm. It doesn’t rev as much (almost 4000rpm) and the six-speed gearbox ensures you always are in your economy zone at whatever speeds you would like to be. The six-speed box enables the Nexon to have closer ratios and at the same time the overdrive makes sure you are barely at about 1800rpm when you are cruising at 100kmph in sixth gear. The clutch is a bit jumpy in the beginning, but nothing that would bother you after getting used to. The gearbox has longer throws than ideal but feels positive. Slot it into first and you can immediately feel the Nexon lunge ahead. Maruti Suzuki offers the Dzire with the traditional 1.3-litre Multijet diesel that develops 74bhp of power and 190Nm of torque. The peak torque kicks in from as late as 2000rpm, marking the signature Maruti Suzuki turbo surge. And it gets a five-speed manual gearbox. The engine is as noisy as the Tata and you can hear quite a bit of it inside. But if you think the Dzire is a slouch, you are wrong. That is because the Dzire is based on the new lighter platform that spawns the Baleno. Being lighter than the Nexon, the Dzire is marginally faster than the Nexon in the 0-100kmph dash. But when you compare the in-gear accelerations in third and fourth gears, the Nexon’s torque and horsepower come into play and pushing it faster by two whole seconds. But then, the Dzire scores in economy, giving us 14.6 kmpl in city traffic and 19.1kmpl on the highway against the Nexon’s 13.9kmpl and 18.7kmpl respectively. The Nexon’s suspension is stiff and does tend to be jiggly on the uneven concrete roads. On tarmac the ride becomes less jittery but you can feel the underlying stiffness. So, the low speed ride, especially on broken roads, is bumpy. But, if you trust the SUV and carry some speed over the bad roads, the Nexon will glide over everything. Stiffness, that makes the low speed ride jittery, makes sure that the Nexon maintains its composure through corners. It does roll, all SUVs do, but it never gets out of hand, no matter how fast you attempt the corner. It loads up well and the large 16-inch rims with 215 profile tyres provide enough grip. A mid-corner bump will make it hop-skip a little but you would know exactly where it is going. That’s because he steering is on the heavier side and provides precise feedback. Braking is nice as well and has the right bite and progression to it. On the other hand, the Dzire is softly sprung and offers a very comfortable ride at all-speeds. At low speeds, it glides over potholes, broken roads and everything you can throw at it. 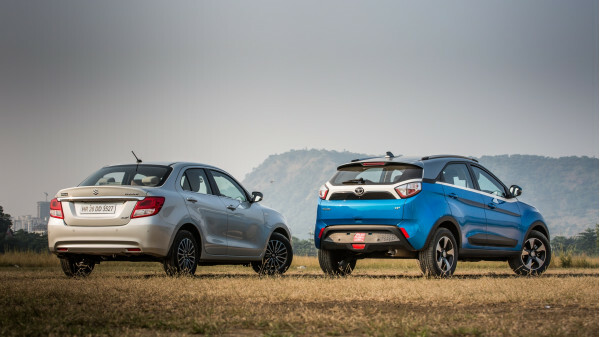 You have to be a bit careful over big speed humps with its 163mm ground clearance while the Nexon with its 209mm ride height, just glides over everything. Back to the Dzire, it is fairly composed around corners but does roll quite a bit, courtesy the soft springs. The steering is also much lighter at all speeds which makes driving in the city confines very easy, but isn’t that confidence-inspiring around corners. Finally, the brakes on the Dzire work well, but do lack the kind of composure that the Nexon has. To sum things up, the Nexon justifies its SUV tag with its high-riding stance and power figures. The Dzire, on the other hand, is a jack of all trades. It does everything right, the way an average Indian car buyer would expect from it. At about Rs 10 lakhs on road for the Dzire and Rs 10.5 lakhs on road for the Tata Nexon, the price difference is also not much. For the extra Rs 50,000 that you would spend on the Nexon, you get the SUV feel, a powerful engine and a package that stands out from the crowd. 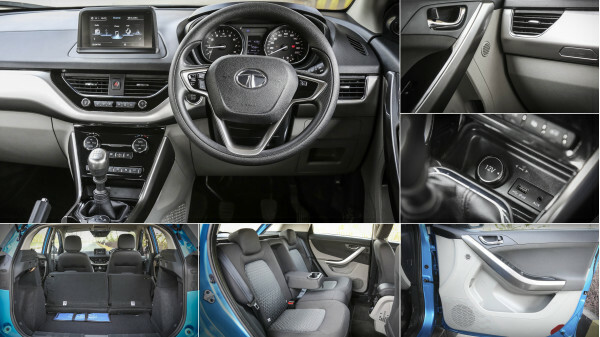 The styling is funky both on the inside and outside but despite all its bells and whistles, the inconsistency in Tata’s build quality is a grey area. On the other hand, the Maruti Suzuki Dzire is the safest choice you have. With Maruti’s after sales support and a package that has proven itself for over half a decade, the Dzire comes loaded with equipment. Also, in terms of quality, everything is spot on. Finally, it boils down to what the buyer wants from the car, a performing SUV that might or might not have issues or a sedan that gets everything right, always. For us, the latter makes a better choice.